As an online marketing strategy, affiliate marketing has been growing in popularity mainly due to the influence it has to drive sales. In fact, affiliate marketing drives over 16% of US e-commerce orders (source). 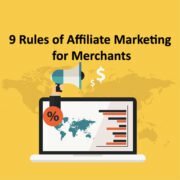 Based on this study, over 80% of participants include affiliate marketing in their overall online marketing strategy.